Pokémon Go all but explicitly encourages exercise, but it can also slow you down. This is part of a series on losing 60 pounds with the help of the Apple’s products and associated apps and accessories. I’m currently 22.6 pounds down since July 25. I like to feel like I’m doing something when I’m exercising. Oh, I know: The very fact that I’m out moving my legs technically means I’m working toward some far-flung a weight loss goal, but I never like to feel like I’m wasting a moment. I love to cultivate and learn; to gain something in the process of losing. When I’m feeling more responsible, I try to learn new languages or listen to lectures on audio books while filling in my 10,000 steps. Lately, though? I’ve been supplementing my walks with Pokémon Go. Countless friends have told me it makes weight loss fun, and I hungered to try that out for myself. If you’re laughing, you probably missed the media hurricane when Pokémon Go dominated pop culture headlines in the latter months of 2016. The AR game’s potential for weight loss was a big part of that discussion. In the process of getting out their doors and visiting parks, players found they were losing weight almost in spite of themselves. 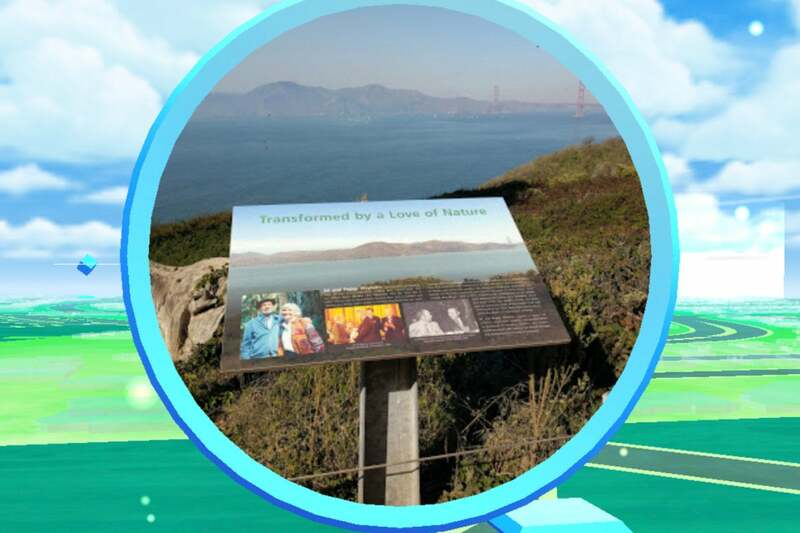 A Reddit Pokémon Go fan won acclaim for reporting that he’d lost 65 pounds between July and December. Women’s Health listed tips for maximizing your weight loss while scrounging for Pikachus and Snorlaxes. Elsewhere, some reports claimed Pokémon Go players were twice as likely to walk 10,000 steps per day than they were before. I missed out on most of this. At the time I was on a ranch deep in the bowels of Texas, where you were more likely to start a conversation with an armadillo than another person. Pokémon Go was a joke. If it wasn’t about walking for 30 minutes only to find yet another Rattata, it was about driving five miles to visit a PokéStop. San Francisco, though? It’s different here. The conditions are ideal. And here’s what I’ve discovered. So much to do, so much to see, so what’s wrong with taking the back streets? Let’s kick off with the good stuff. 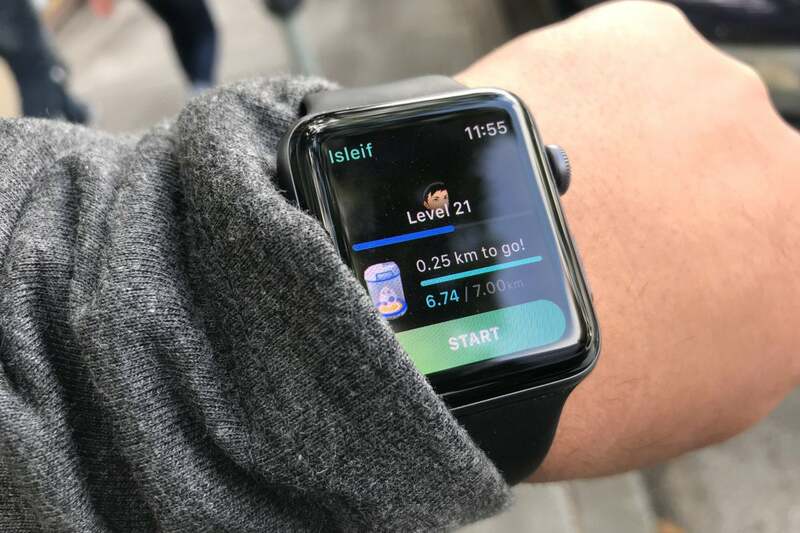 Pokémon Go is one of the rare popular games that actively inspires exercise by disguising workouts as “incubating” the Pokémon eggs you get from PokéStops or (these days) from gifts from friends. Incubation in this manner has nothing to do with squatting on potential omelets; instead, it’s about dropping those eggs in incubators and walking around for specific distances until they hatch. Usually you have to walk five kilometers or 10, but the important thing is you have to walk (even if it’s on a treadmill). This was always a thing if you didn’t mind walking around with the app constantly open on your phone, but the Apple Watch makes it particularly easy. Within seconds, you can set an egg to start incubating and then go about your business while the tracking sensor logs your miles. And yes, it even counts as an Apple Watch Workout. I find this far more fun than the normal workouts on the Apple Watch, which boil down to selecting a specific activity and simply clicking them off when you’re done. Yawn. 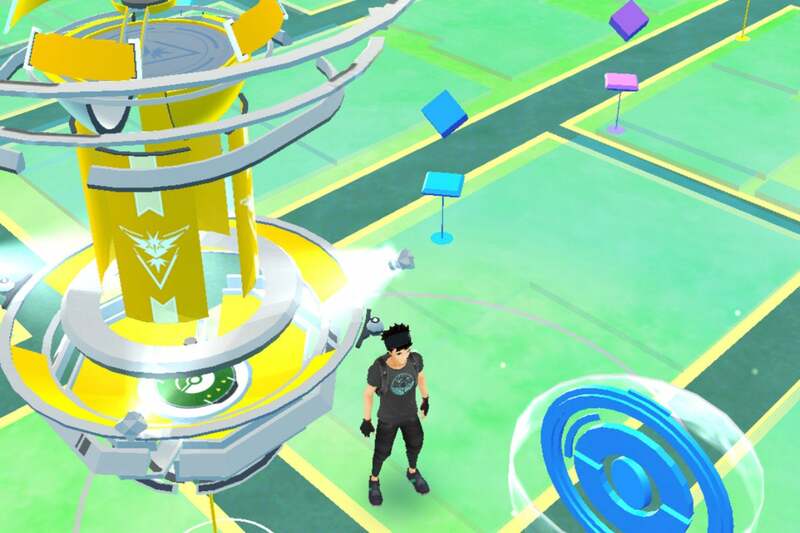 Pokémon Go, by contrast, introduces the thrill of reward. Once the five kilometers or whatever are up, the Apple Watch buzzes. I look down at my phone, where I’m greeted with the sight of some impossible creature cracking out of her shell, ready to fight and not even five seconds old. Maybe someone has done a better job of “gamifying” the weight loss experience than this, but I don’t know of them. But of course you lose weight with the core game as well. Pokémon Go is all about venturing out into the wild outdoors and throwing balls at critters who happen to be lurking around the local Arby’s or your neighbor’s shrubbery, and occasionally spinning PokéStops at set locations for getting extra balls, potions, or other goodies. It requires a lot of walking to get the most out of it (and that’s not even covering the walks to “gyms” where you can battle for ownership of the place). All this walking is what usually leads people to lose weight. Here, too, the Apple Watch makes it easier. 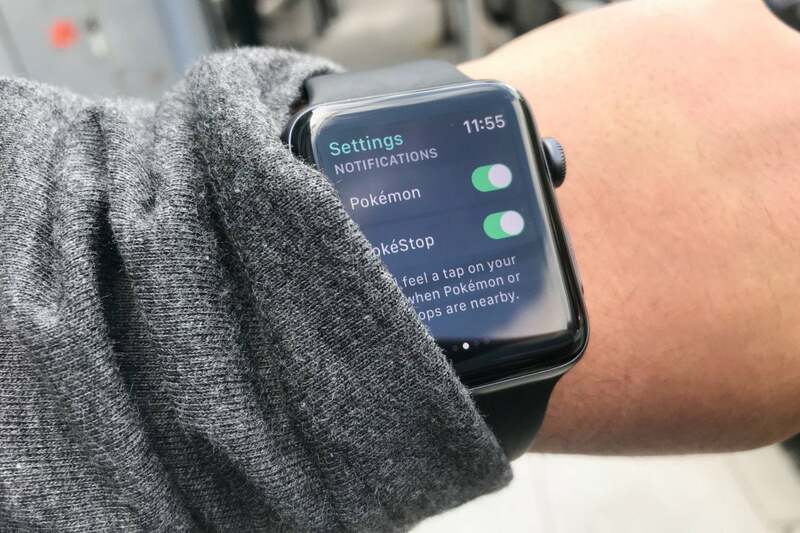 By default, it tells you when you’re around either Pokémon and PokéStops, giving you a friendly little tap that, in theory, enlivens your hikes and jogs. Maybe this would have been cool back in Texas. But here in San Francisco—here on developer Niantic’s front doorstep, in other words—these alarms buzz so frequently it’s tempting to think it they’re calibrated in tune with my breathing. And thus it didn’t take long for me to decide to turn off the Pokémon alerts and keep them limited to PokéStops (and often I’ll even turn them off). Helpfully, it’s one of the first options you see. But for me, at least, all this buzzing is symptomatic of a significant complication with using Pokémon Go as a weight loss tool. I simply wonder how much of a workout I’m really getting, especially here in the city. Even with the Watch turned off, playing Pokémon Go while working about goes something like this: Look, Leif, a Teddiursa! (Gotta have it.) And then, 15 seconds later: Oh, look, another PokéStop! The notifications alone may be draining my battery more than the game itself. The upshot is that I’m stopping a lot. When I’m playing slightly more than casually, that means I’m stopping every few feet to catch a new Pokémon or check what I got from the latest PokéStop (or, for that matter, emptying my inventory so those items can fit). It makes short journeys into long ones. My roughly 10-minute walk down the hill to the grocery store? With Pokémon Go, it stretches out to almost an hour. I’m no coach, but that doesn’t feel like efficient exercise. I barely feel winded (and the Apple Watch’s heart monitor agrees). Sure, I’m being active, but it’s like I’m climbing a mountain by taking a breather every few steps. All things considered, I’m probably burning through more Poké Balls than calories. But don’t think I’m bashing it. After all, I’m getting out of the house. I’m exploring. I’m seeing the world, even if I’m still spending half the time staring at a 5.8-inch screen. As long as I keep my diet in control—and you should never lose sight of how important that is—that’s almost certainly going to make the pounds go away. And seeing this kind of thing is always good. Some people have made this work for them in its entirety. As for me, I see it as more proof that modern technology has given us a wealth of wonderful of complementary activities for knocking off the weight that didn’t really exist before. For me, today’s it’s Pokémon Go. Tomorrow it may be listening to Kenneth Harl’s lectures on Viking history through my AirPods. The main point is that technologies like the Apple Watch and the iPhone have made exercising far more interesting than performing repetitive motions in silence (or even merely music, as I’m old enough to remember the Walkman). These days, we can exercise and learn and play at the same time. What used to be relatively boring activities no longer have to be. And whether we’re using Pokemon Go or similar games like The Walking Dead: Our World or even audio books or music, let’s go out and make the most of it. This story, "Yes, Pokémon Go works for weight loss, but don’t get too caught up in catching ‘em all" was originally published by Macworld.